Over the next few weeks any images I post on my blog will relate to a selection process I am making for producing some art work. I want to go through my blog photos posted since 2011 and select images that could related to both pencil/ink and Charcoal drawings along with images the will make good subjects for Painting in Acrylic/oil paints. I also have many images that I never posted here, as when I get my camera into the landscape I try to almost exhaust the location as much as possible by taking many images. 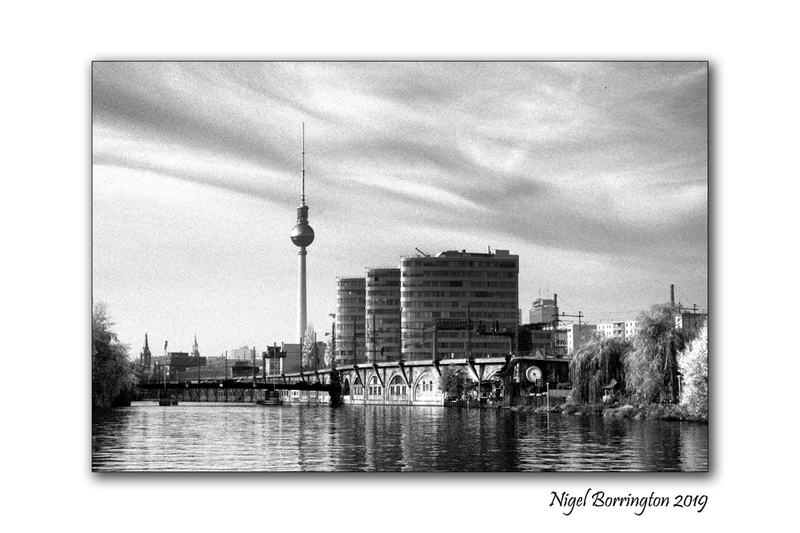 With this image of Berlin from the river Spree, I felt it would make a great subject for Charcoal, Pencil and Pen and ink work. 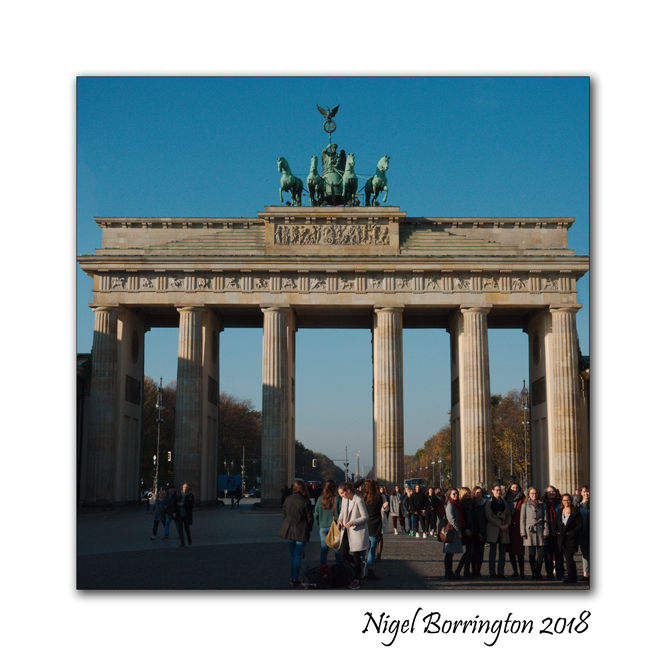 This is a process I have wanted to do for sometime, as it will help me get focused on the art work I want to produce during 2019…..
Brandenburg Gate, Berlin, Germany, 14 facts you most likely never knew. 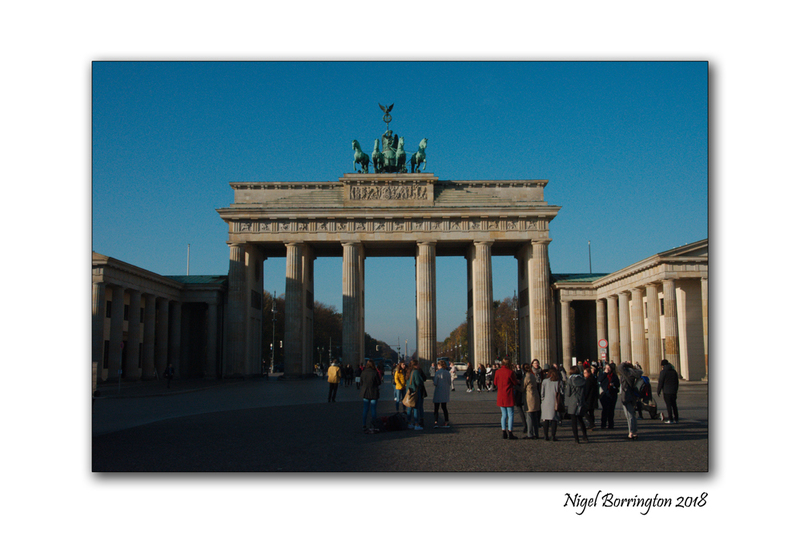 The Brandenburg Gate is a military monument that has come to symbolize peace and unity. Here are a few facts about the iconic monument that you probably won’t know. It’s one of the most iconic scenes of recent German history: Hundreds of thousands of people celebrating before the Brandenburg Gate as the Berlin Wall fell on November 9th 1989. 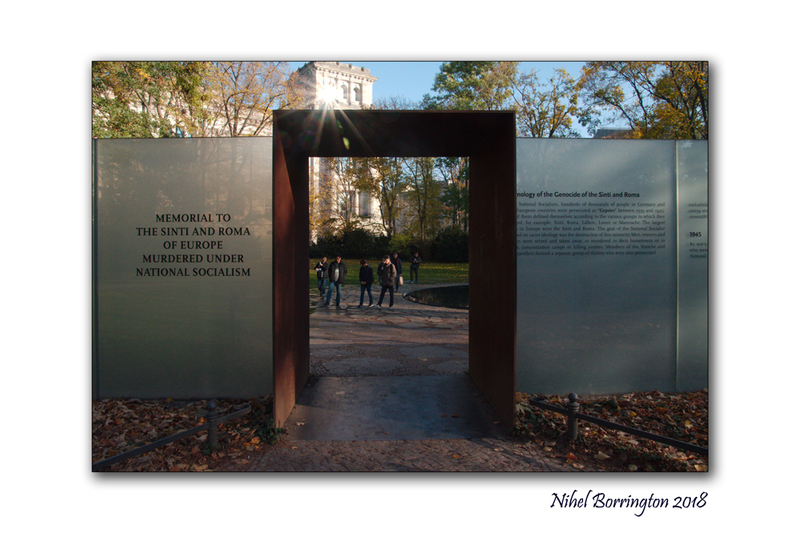 The Gate has now come to represent German unity and freedom since the end of the Cold War and divided country. Not only is it “a symbol of the German-German divide”, but it also “stands for the reunification” of East and West Germany in 1990. 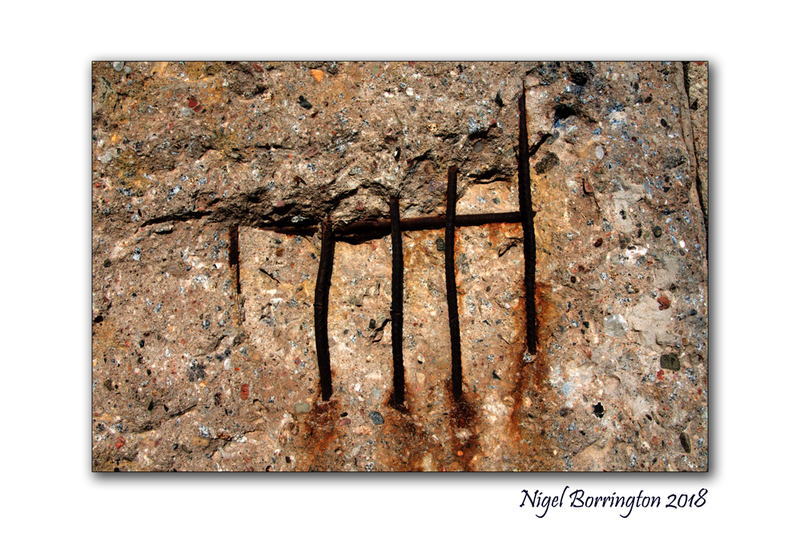 Despite being heavily damaged in the Second World War, the Gate has withstood the test of time. 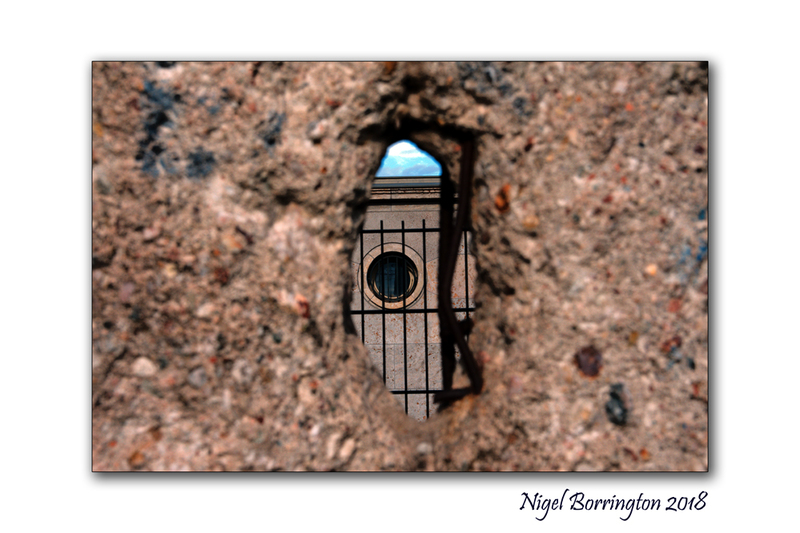 But there is far more to the famous landmark than initially meets the eye. Here are a few facts that you probably didn’t know about the Brandenburg Gate. 1. August 6th 1791 – that’s when the Gate was opened, after having been commissioned by Friedrich Wilhelm II. The Gate was erected not as a political symbol, but instead for a rather more simple reason – to mark the end of the boulevard Unter den Linden. 2. The Propylaeum of Athens’ Acropolis – that’s what the gate was modelled on. 3. 1806 – that’s when the Quadriga (the sculpture of the horse-drawn chariot on the top of the Gate) was stolen by Napoleon’s soldiers and taken back to France as a victory trophy. 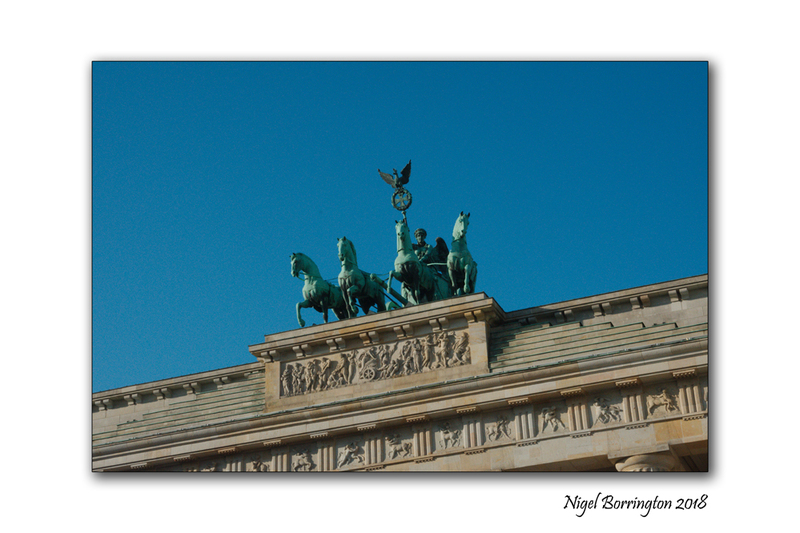 But after Napoleon was defeated, the Quadriga was returned to Berlin. 4. January 30th 1933 – that’s when the Nazis held a torchlit procession through the Gate to celebrate Hitler’s seizure of power. 5. 1945 until 1957 – that’s when the Soviet flag was flown on the top of the Gate. However, the flag was ripped down during the peaceful protests on June 17th 1953, when demonstrators protested against the political and economic conditions in the GDR. 6. June 12th 1987 – that’s when the then-US President Ronald Reagan made his rousing speech before the Gate, exclaiming, “As long as this gate is closed […] it is not the German question alone that remains open, but the question of freedom for all mankind […] Mr. Gorbachev, open this gate! 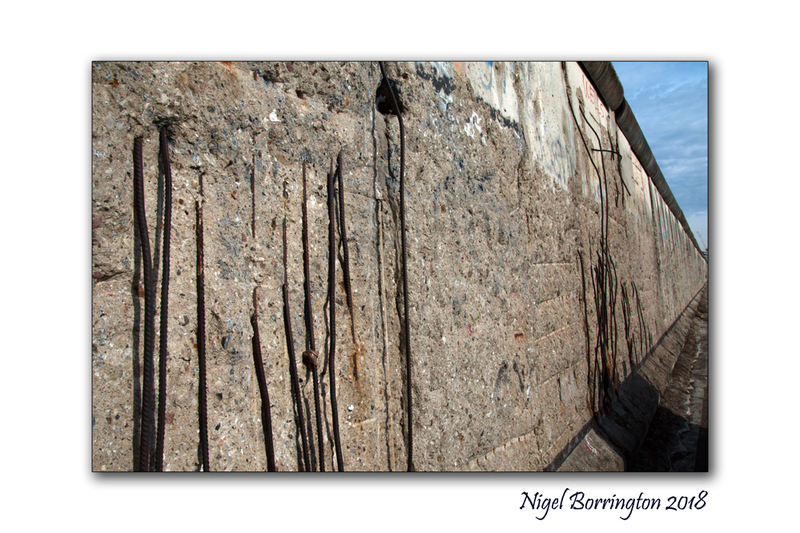 Mr. Gorbachev, tear down this wall!”. 7. December 1989 – that’s when the Gate was opened as a border crossing by West German Chancellor Helmut Kohl and East German Premier Hans Modrow. 8. 2000 until 2002 – that’s when the Gate was renovated by Berlin’s Foundation for the Protection of Monuments, costing a massive 6 million Euros. 9. 4000 – that’s the number of counter-demonstrators who gathered to prevent 300 supporters of the anti-Islam group Pegida from marching from the city hall to the Gate on January 5th 2015. In addition, all the lights at the Gate were switched off. 10. 26 metres – that’s the height of the the Gate, which is made up of six Doric columns on either side, supporting a transverse beam 11 metres deep. There are five walkways through the gate. 11. 130,000 – that’s the number of people who gathered at the Gate following the attacks on an Orlando gay club last year. The Gate was lit up in rainbow colours to commemorate the 49 victims. 12. The luxury Adlon Hotel, the French and the US embassies – those are the buildings which surround the Gate, in its prime location at Pariser Platz, otherwise known as Berlin’s “gute Stube” (“best room”). 13. 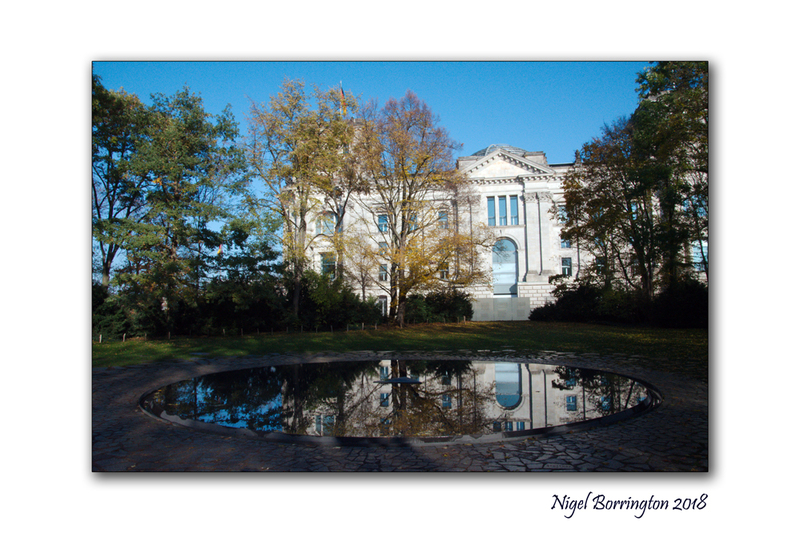 The Märkisches Museum in Berlin – that’s where you can see the horse’s head from the Quadriga sculpture. 14. About a million – that’s the number of people who flock to the Gate every year for its famous New Year’s Eve party, complete with music and fireworks. Sophie Scholl and the white rose Movement – Angles in the darkness ….. Yesterday I posted some images relating to the fantastic Jewish memorial in Berlin, I did not want to add any words to these images because I just wanted to and hoped that these images would share a feeling that I had walking and standing among the stones of this amazing public sculpture. 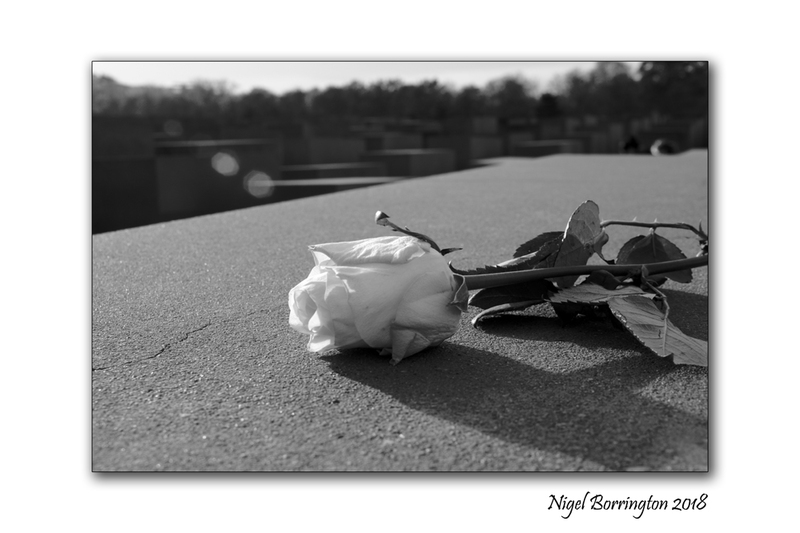 Today’s post is a little different, while In Berlin I came across the story of Sophie scholl and the body of Students of which she was a big part, called the “white rose“, Sophies’ story needs words, is all about words!. Words they, and she,this group used, words full of truth! yet by the simple act of using these words so many of these students including Sophie lost there lives! If you want to try and understand what life was like under the Nazi dictatorship of the 1930’s and 1940’s, in Germany then you would be hard pushed to find any better example than the life story of Sophie scholl and the white rose movement, This was a group of German students who like many felt extremely disturbed and deeply saddened by the events they found happening around them and they simply wanted to express this feeling. For the act of using their minds and voices to express what was a natural reaction, they lost their own lives. Sophie Scholl is one of the most famous of these student she was executed on 22 February 1943 (aged 21). She is just one individual among millions who lost their lives during the horrors, but I feel her story adds pure clarity to the events that she could not and would not tolerate unfolding around her! How many of us today would be so brave? It is an absolute tragedy and as Sophie herself said inhuman CRIME that someone who could and should have spent a lifetime adding to the world around herself, contributing to man kind! was killed by men who only held bitterness and discrimination of all kinds in their hearts. I feel that by knowing more about human people like Sophie scholl, I understand the history of the Nazi’s much better, these men and women who formed their ranks embodied the very heart and soul of evil and bitterness, heartless discrimination of all kinds and not just racist discrimination but ones based of what they felt was a social right to be better than other humans based on nothing! There is no-one better than anyone else, there is no position based on wealth, location of birth or physical standing that puts anyone higher in life than anyone else !! PERIOD! I would like to declare myself a member of the “white rose” ! as I know if I lived Back then at 21 I would have wanted to join! Sophie Scholl – an ANGLE in the darkness !! 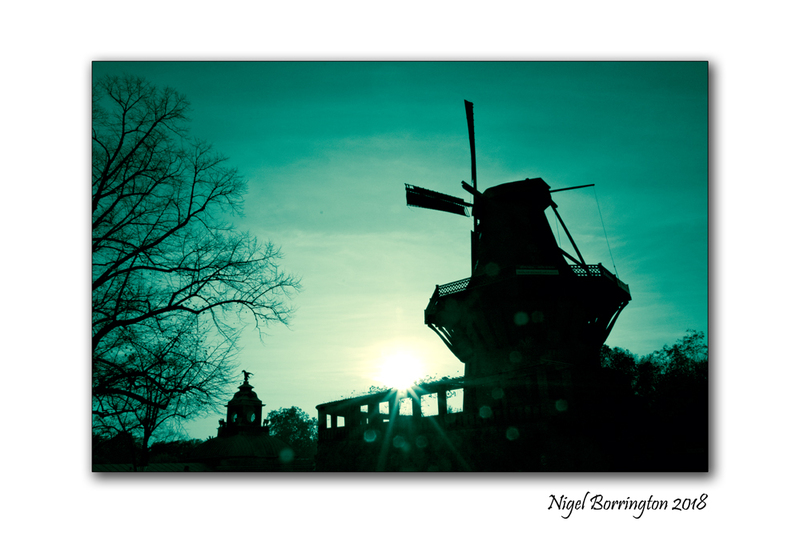 The windmill at Sanssouci, Potsdam is simply one of the best restored windmills in Germany, Potsdam was the home of the Prussian royal family and as such this windmill like many of the buildings located in and around the city are nothing other than the best of examples in German, even the world, architecture. In 1736 the soldier king, Frederick William I of Prussia, gave permission for the construction of a windmill, which was started in 1737. This first windmill, completed in 1738, was a post mill, whose entire superstructure, supported on a wooden post, was turned “into the wind” depending on the wind direction. 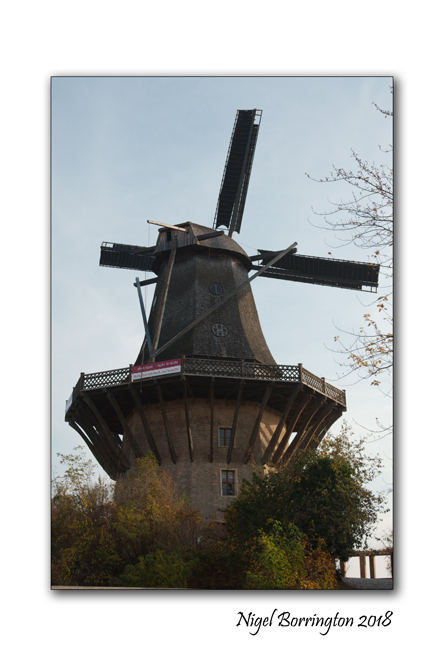 The first mill and actual Historic Mill was thus older than the nearby summer palace, built in the years 1745 to 1747 for Frederick the Great. The legend of the Miller of Sanssouci first appeared in 1787 in a French book about the life of Frederick the Great (Vie de Frédéric II by an anonymous author) and in a watered-down form one year later in Germany. This is only a legend. According to Frederick the Great the mill underscored the rural character of his summer palace and said “that, … the mill is an ornament for the palace.” The miller was reportedly a difficult man, who cheated the local farmers over their flour and constantly pestered the king with petitions. At least one of these petitions was heard by Frederick II. Grävenitz pointed to the fact that, as a result of the construction of the palace, the post mill no longer stood in the open, but was partly shielded from the wind. So he demanded that the king let him build the mill in another site and to pay him for it. Frederick II acceded to this, with the result that, shortly thereafter, the wily Grävenitz was the proud possessor of two mills thanks to the king’s grace, until he eventually resold the old mill. In 1768 there was a legal dispute at another location over water rights and the remaining lease between Christian Arnold, the tenant of a mill in Pommerzig in the Neumark, and his landlord, the Count of Schmettau. After the miller was found guilty on two accounts, he appealed to Frederick the Great, who intervened in the ongoing proceedings in favour of the miller. Wrongly, as it turned out later. The king referred the case to the Berlin Court of Appeal, who once again ruled against the miller. Frederick the Great, then demanded a condemnation of the judges and their imprisonment in Spandau Citadel for their unjust judgments and thus precipitated an abuse of his name. In the years that followed there continued to be disputes between the reigning kings and the millers for different reasons. One of the most moving things about a visit to Berlin is just how many public locations have been dedicated to the unavoidable history of Germany. Memorials to the victims of the first and second world wars along with the cold war are located all around the city and they are free to visit and open to all. Germany is not hiding from its past or running away from it, they welcome both inquiry and then knowledge! It is a true credit to newer generations that they have made sure that so many victims of what was only a selective group of German people, are remembered into the future in this way. 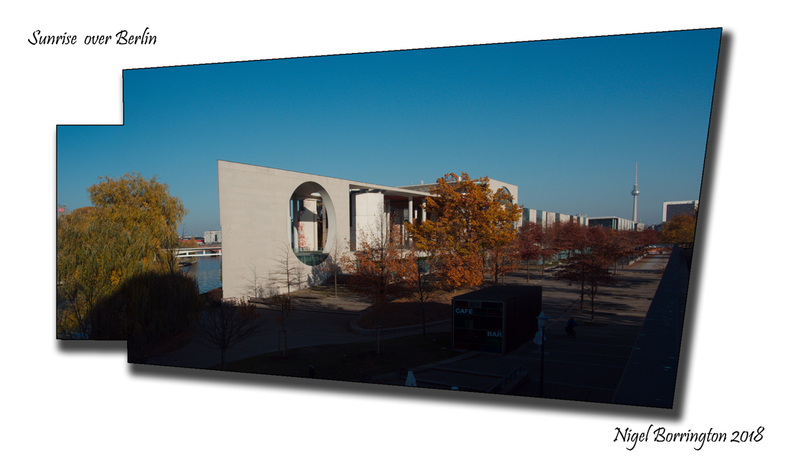 The Memorial to the Sinti and Roma Victims is located just across the road from the Reichstag building, the German government buildings. It is peaceful place erected in 2012. 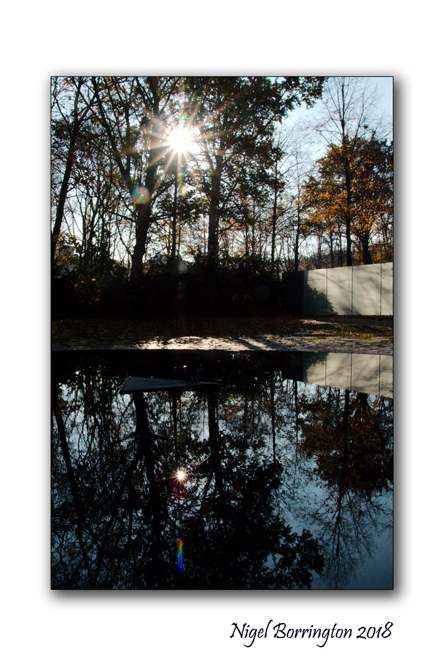 When you enter the garden you are greeted by musical tones playing from the trees around you, this experience allows you time to stop and remember so many souls that were removed from life , rejected as people not wanted, not perfect and killed for just being from a different social background,location or belief. 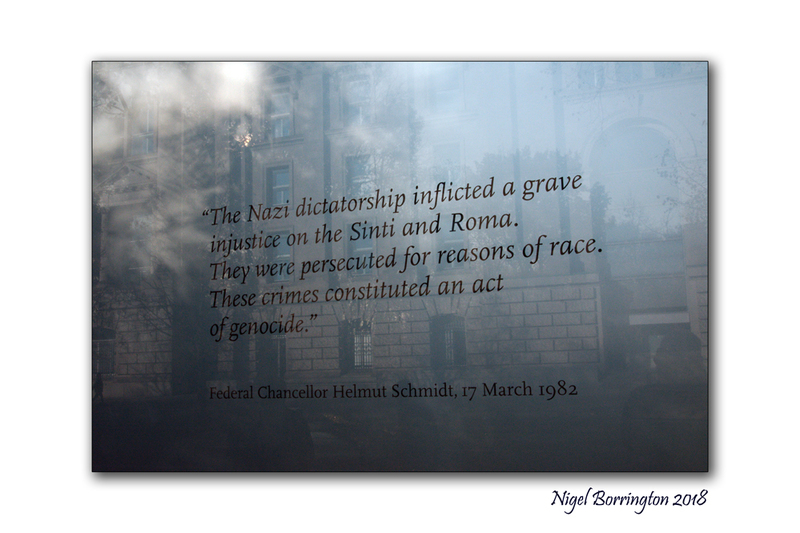 The establishment of a permanent memorial to Sinti and Roma victims of the Nazi regime was a long-standing demand of the Central Council of German Sinti and Roma and the German Sinti Alliance. In 1992 the Federal Government agreed to build a monument but the memorial faced years of delay and disputes over its design and location. The city of Berlin initially wanted to place it in the less prominent district of Marzahn, where hundreds of Roma and Sinti were held in terrible conditions from 1936. 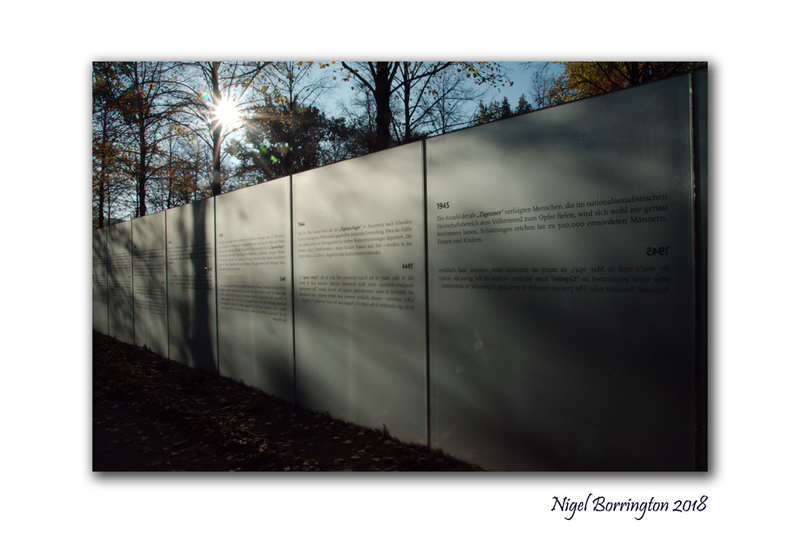 In 2001 it was agreed to site it in the Tiergarten close to other Holocaust memorials but work did not officially commence until 19 December 2008, the commemoration day for victims of the Porajmos. 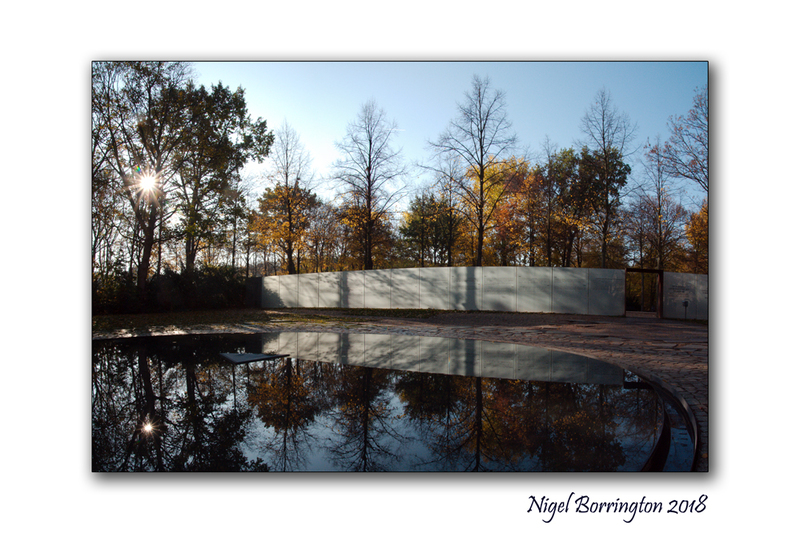 The memorial was completed at a cost of 2.8 million euros and unveiled by Angela Merkel on 24 October 2012. 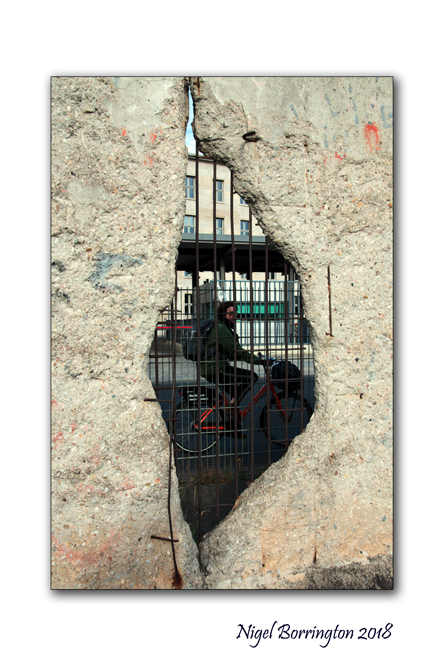 When you visit Berlin you simply cannot escape from German and European history and the History of the Berlin wall is still a part of Berlin just as much as so any of the events that go into shaping this great European city. 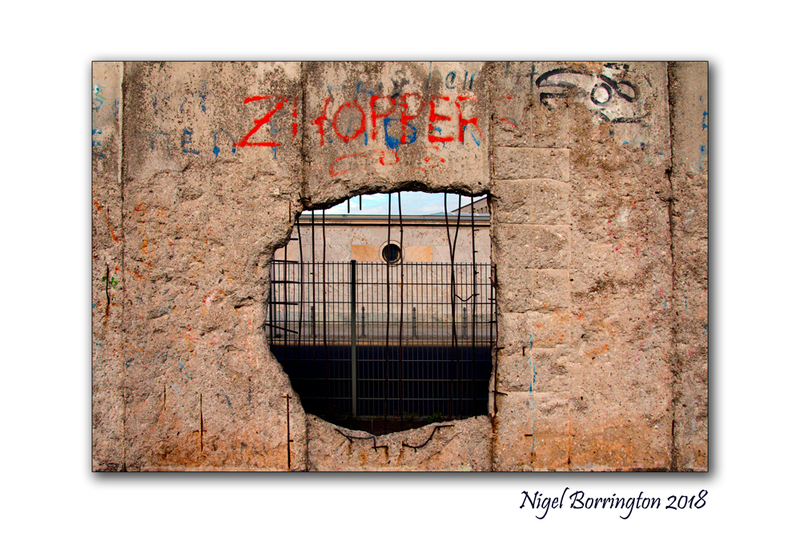 This November 2019, the Berlin Wall is celebrating the 30th anniversary of its fall. On the occasion a large number of events took place in Berlin dealing with topics such as reunification, the construction of the Berlin Wall, the division of the world during the Cold War, the overcoming of the Wall by the Peaceful Revolution of 1989. 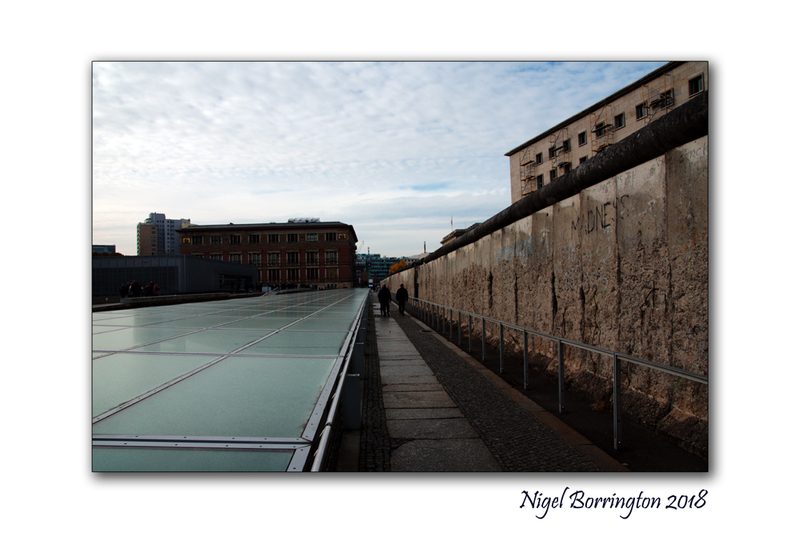 I travelled to Berlin last week and spend a week in the city during many of these events. 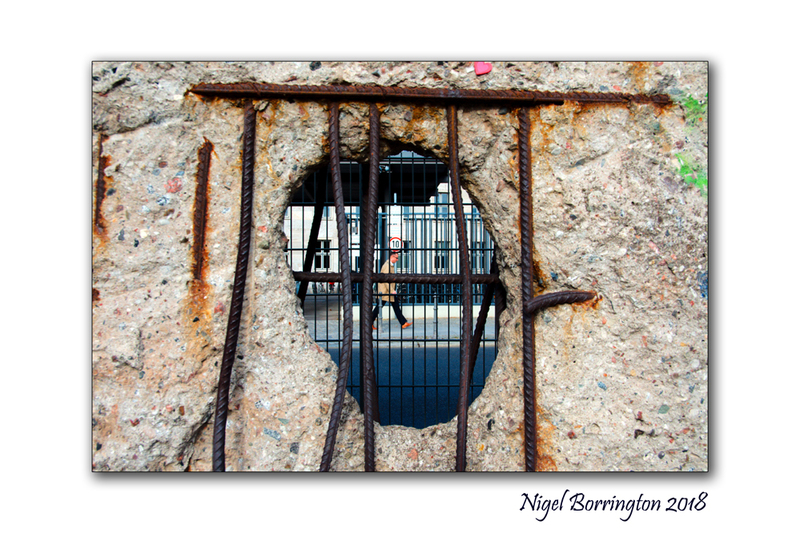 These are just some of the pictures I took that show the Berlin wall today as it is conserved for the many generations in Berlin and the world to visit in the future. Events dealing with the history of division, the struggle for freedom and the process of reunification took place not only in the run-up to and around November but from the start of 2018. 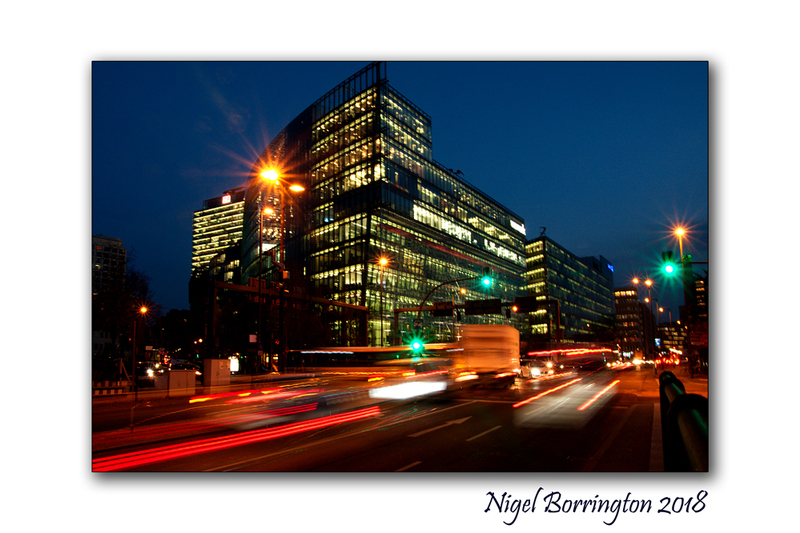 I have just returned from a weeks visit in Berlin in Germany, What a wonderful city full of life and history. 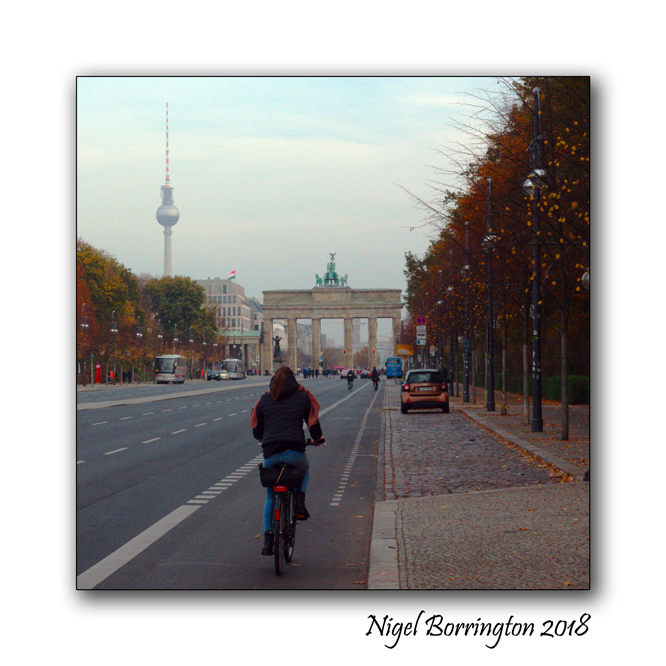 It will take me a while to readjust to life back at home and to go through all the photos I took but I am in love with Germany and Berlin. The culture here is amazing and the history just fascinating, I fell that the entire experience was a study of European history from art to politics. 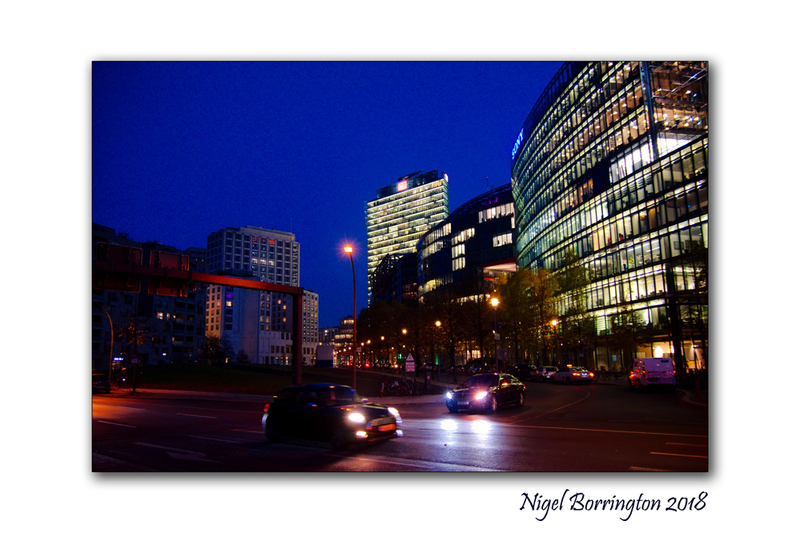 These two pictures were taken the very first night and show the business area of Potadamer Platz, around rush hour time.